The game was great and I picked up some great tips about how you definitely should play (as long as you’re playing against me that is).I was on the side of the forces of Law, Order and Stability with two friends while the Rebel Terrorists had four on their side. 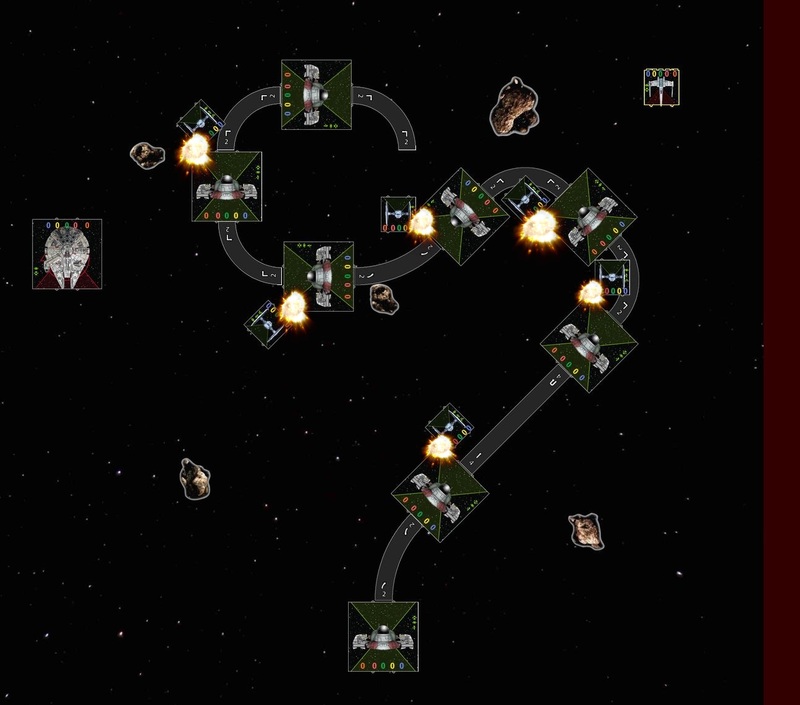 It was a long game but a few key moments of subtle strategy turned the tide in the Good Guys (Imperials) favour. 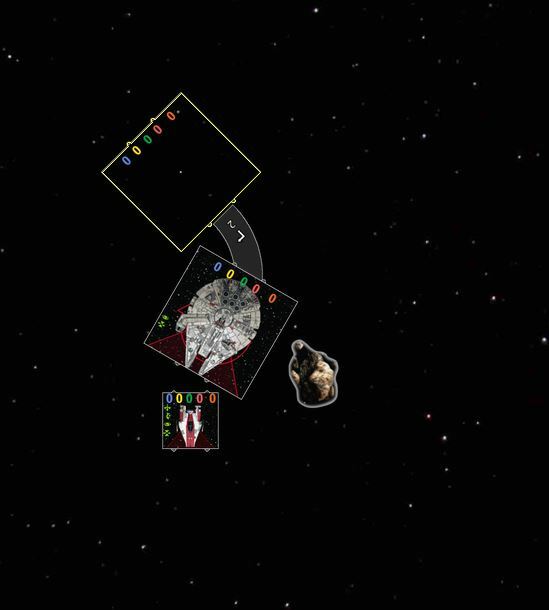 We’d stressed at the beginning of the game that running into asteroids was bad (you had a chance of taking a bit of damage and couldn’t perform fancy manoeuvres). 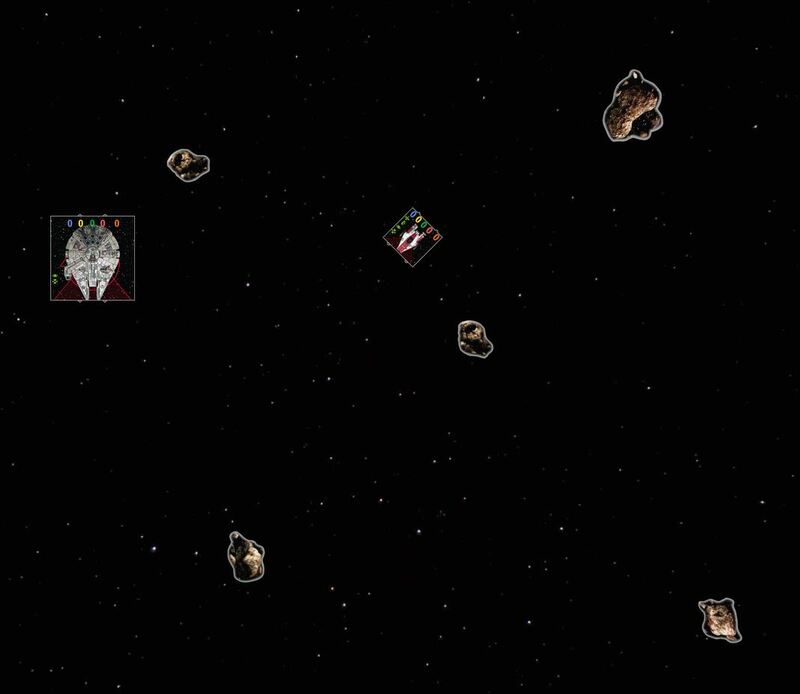 The rebel pilot HAD to make sure that he didn’t run into that asteroid as that Would Be Bad. 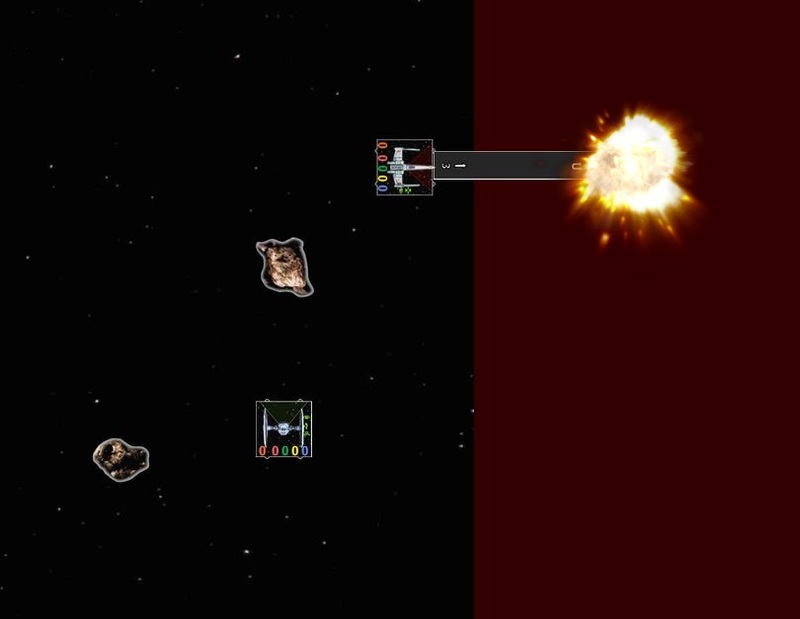 Unfortunately, leaving the map in X-Wing causes your ship to explode which could be considered Even Worse. You’ll never catch ME, space rock! Well, that was a close ca…. 1-0 to the forces of Justice without a shot being fired! Unfortunately, Boba Fett had been on the sauce…. 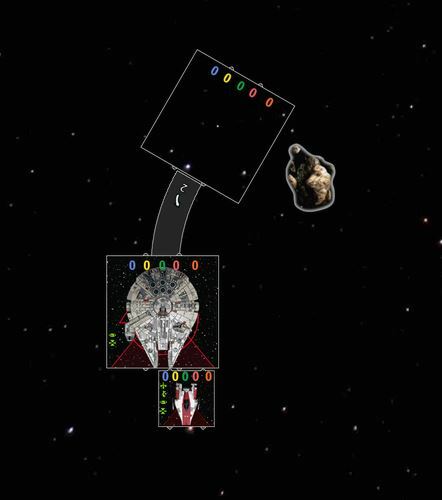 We were doing well but the rebels still had their big ship, the Millennium Falcon, in play. Slave 1 was piloted by Boba Fett himself, a pilot only slightly worse than Han. He’d make a move like that in his sleep. 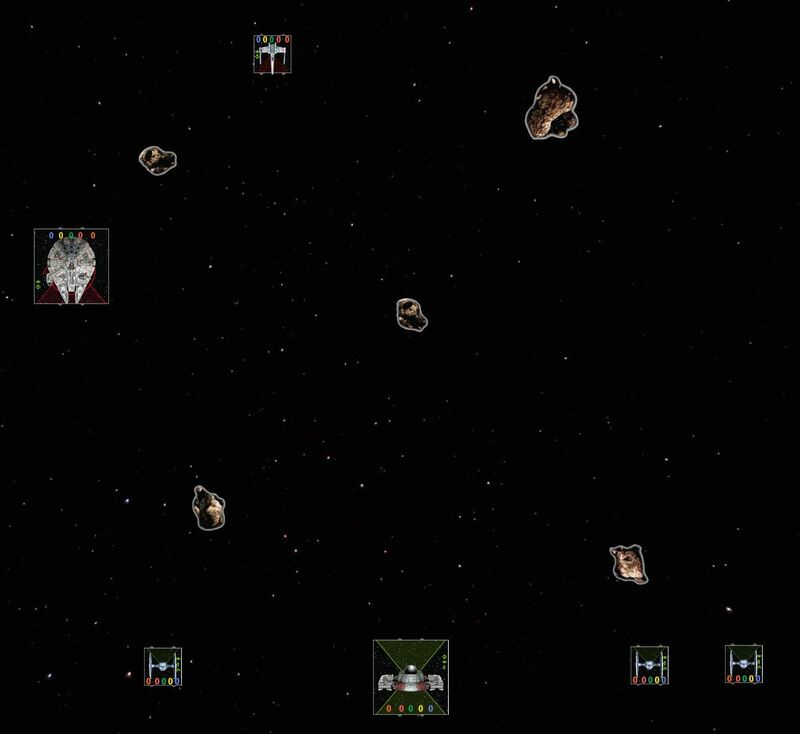 You’ll notice there are more TIE Fighters being rammed in that shot that there were in the initial picture. That’s because the same TIE was hit multiple times as he desperately tried to get out of the way of Boba’s drunken flailing at the stick. After this, things looked dark indeed for the Empire but eventually Boba put down his beer, belched and squinted hard enough to make out what resembled the outline of an enemy ship. He actually got on the Falcon’s tail! 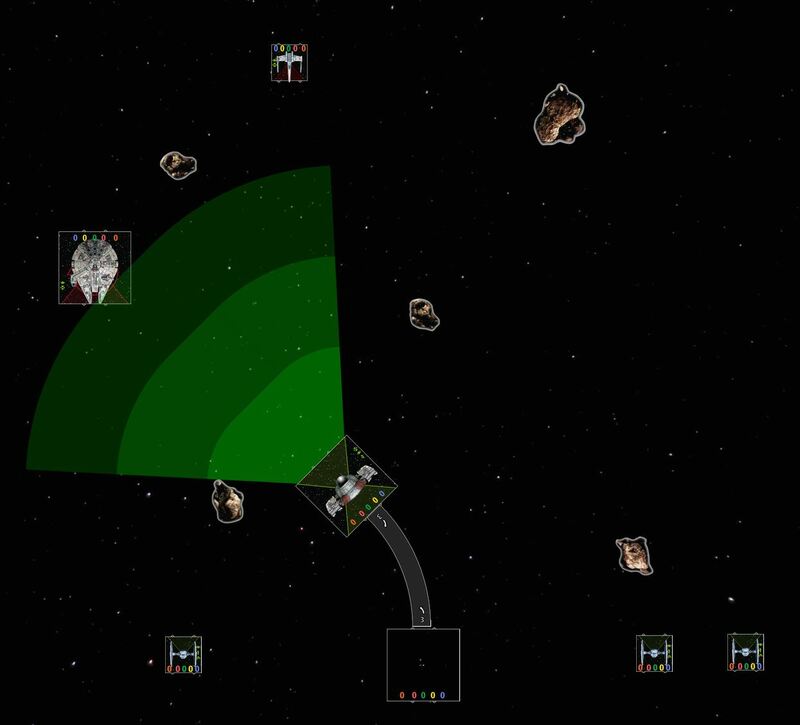 Solo had multiple turns to flank our ships though and he was a better pilot. There was no way we could catch him. 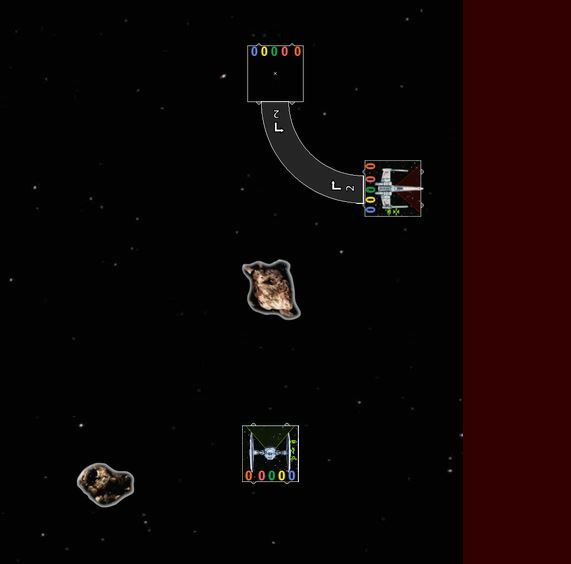 Luckily, there was an A-Wing pilot who needed a hug. 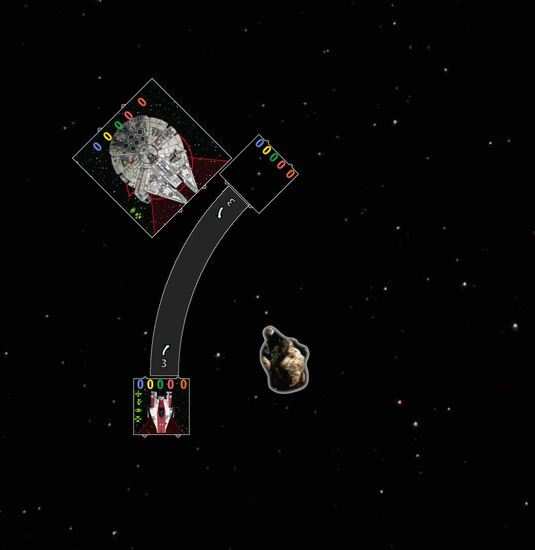 Han was the better pilot, so he moved last. Everyone could freely discuss their moves (you couldn’t show anyone the exact move you’d picked though) and he made it clear he was continuing his flank. Boba had randomly decided to chase him now and so he wanted to get clear. He’d flown full speed ahead, straight into Han’s path. 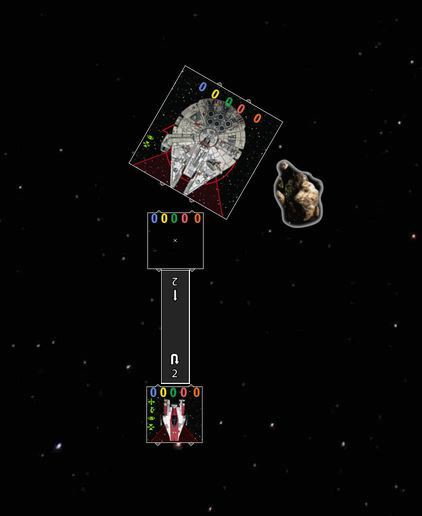 As Han couldn’t complete the move he’d picked (as he moved last) he had to move back along his template and was considered “bumped”. That means no fancy actions for him which meant that Boba had a chance to actually hit him. A bad move but accidents happen, right? 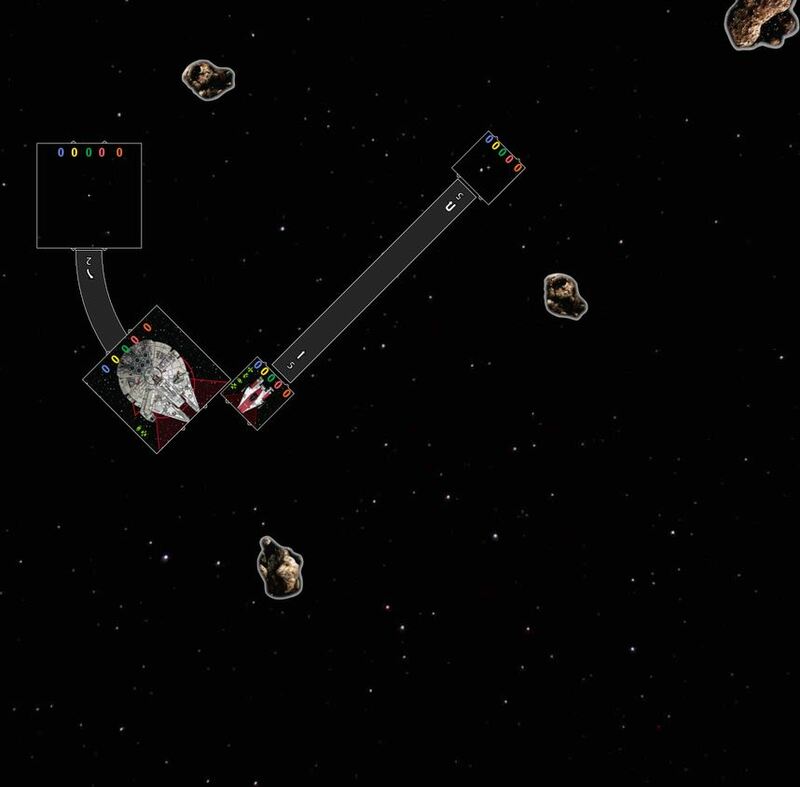 The Falcon still had plenty of health left and the A-Wing could easily get out of the way. Han needed to avoid the asteroid so he said he’d bank right. As long as the A-Wing didn’t bank left, Han would be golden. I SAID I WAS TURNING RIGHT! Oh dear. Han was inventing all sorts of interesting descriptions about the A-Wing pilot’s parentage; Boba had passed out on the “Fire Guns” button and was dealing a reasonable amount of damage to the Falcon now. Han was going to straighten up. 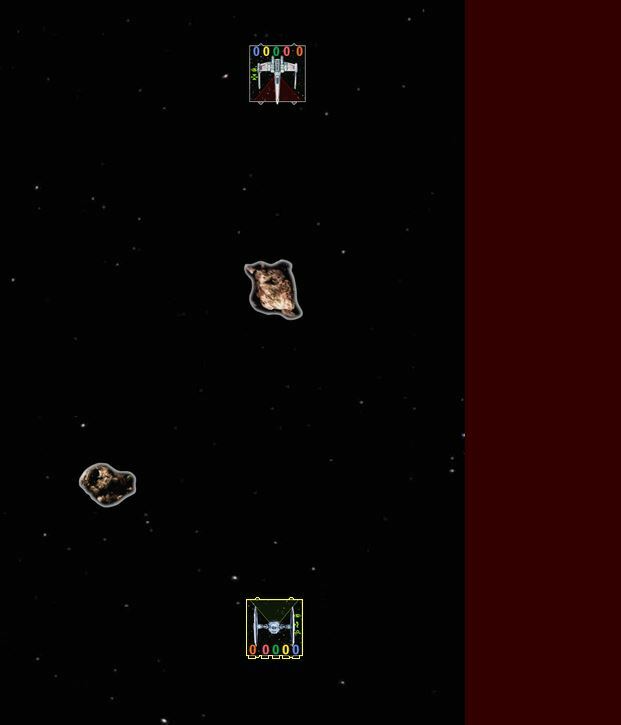 Touchy-Feely A-Wing man just had to get out the way. Soft left, hard left, soft right, hard right; it didn’t matter. Just Turn! Luckily Boba blew up the Falcon before Han could physically murder Mr A-Wing.